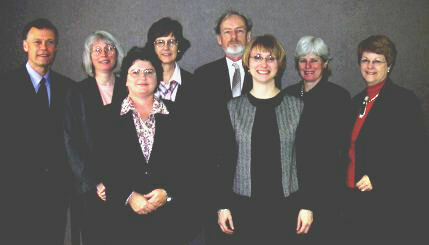 The Joint Steering Committee for Revision of AACR (JSC) met in Ottawa from April 24-28, 2006. This is a brief summary of decisions taken at the meeting; further detail will be provided in the meeting minutes (which will be made publicly available). The agenda contains a full listing of topics discussed. Discussions at the meeting focused primarily on the major issues identified during the constituency review of the December 2005 draft of part I of RDA and these are highlighted below. The JSC has put in place a mechanism for dealing with the detailed comments in the constituency responses that were not discussed at the meeting, with the aim of completing the decision-making process at the October 2006 meeting. The JSC decided to structure RDA in just two parts (parts A and B), rather than the three parts (parts I, II, and III) originally proposed. Part A will cover the elements originally proposed for inclusion in part I (Resource Description) as well as those planned for inclusion in part II (Relationships). Part B will cover the elements originally proposed for inclusion in part III (Access Point Control). In very broad terms, part A will cover elements that libraries have traditionally recorded in bibliographic records, and part B will cover those traditionally recorded in authority records. The decision on the new structure was made primarily to address the view raised in the constituency review that the distinction between “descriptive” elements and “access” elements was unnecessary, and that there were inconsistencies in the handling of various elements reflecting relationships. The integration of parts I and II into a single part will align RDA with the standards used in other resource description communities, where “description” is generally seen to encompass elements used in resource discovery as well as those used in resource identification. One clear benefit arising from this integration of parts I and II is that the contents of the introduction to part II will be merged with the introduction to part I to form a single introduction to part A. Similarly, the general guidelines on reflecting relationships that were to be included in the first chapter of part II will be merged with the general guidelines on resource description that previously formed the first chapter in part I, to produce an expanded chapter 1 covering general guidelines for part A as a whole. This will make for a more coherent structure. The portion of part A that deals with attributes of resources will follow much the same format as chapters 2-5 in the December 2005 draft of part I, with instructions to do with relationships moved to later chapters. The elements in chapter 6 (item-specific information) will be moved to the chapters 2-5 as appropriate. The portion of part A that deals with relationships will be issued for review according to the same timeframe as that determined for the former part II. It will cover: relationships between the FRBR group 1 entities (works, expressions, manifestations, and items); relationships between FRBR group 1 entities and FRBR group 2 entities (persons, families, corporate bodies); and, instructions for particular types of content, e.g., musical works, legal works, and religious works. The structure of part A will allow for better alignment of chapters with the FRBR user tasks of find, identify, select, and obtain. Full details of the new structure will be outlined in a revised Prospectus which will be issued in mid-June 2006 in tandem with the relationships portion of part A (the chapters formerly known as part II). One of the comments from constituencies on the draft of part I of RDA was that it did not reflect the relationships between some elements. The JSC agreed that relationships will be handled by elements having sub-types and sub-elements. Sub-types refers to other separate elements that represent the same “type” of element (e.g. “title” has the sub-types of “title proper”, “parallel title”, “variant title”, etc.). Sub-elements refers to subordinate elements that, taken together, form a larger element (e.g. “edition” has sub-elements of “edition statement” and “statement relating to a named revision of an edition”). In the case of publication information, high-level groupings for publication, distribution, production, and manufacture will replace the existing structure. Sub-elements for “name” (e.g., of publisher), “place”, and “date” will be defined for each of these groupings. The JSC recognizes that the structure of elements within RDA is not sufficient in itself to reflect all the relationships between recorded elements. Specifications for the storage or presentation of data (taken from Appendix D or from other sources) may be needed to ensure that repeated occurrences of element sub-types or sub-elements are properly aligned for display. In response to issues raised in the constituency review about elements labelled as “notes”, the JSC clarified the use of the term. Elements labelled as “notes” record information that relates to another element (e.g., notes on titles are used to record information about the sources of titles, inaccuracies in titles, etc., not to record titles per se) or record free-form information that parallels, or adds detail to, information recorded in an element that has a closed set of specified values (e.g., notes providing additional detail on units recorded in the extent element simply as “various pieces”). Elements labelled as “notes” will be reviewed to ensure consistency in the use of that label. In response to issues raised in the constituency review relating to mandatory elements, the JSC decided to revise the terminology used in RDA and to make a formal distinction between the term “required element” and the term “element required if applicable”. For cases where the information to be recorded in a required element is not available from the resource itself, RDA will provide instructions on supplying data for that element. With the integration of parts I and II into a single part there will be a single listing in chapter 1 of all elements covered in part A that are designated as “required” or “required if applicable”. The option to use an access point in lieu of the statement of responsibility will remain. The labels “Required element” and “Element required if applicable” will be given in the text where relevant, and all other elements will have the label “Optional element”. Instructions on recording data within an element that are currently labelled as options will be relabelled either as “alternative” (to indicate an alternative form of recording the element), “optional addition” (to indicate additional data that may be included when recording the element), or “optional omission ”(to indicate data within the element that may be omitted when recording the element). In order to facilitate the editorial and review processes, training, and links to and from other standards, the numbering system used in RDA will be extended to provide additional numbering at the paragraph level. Cross-references within RDA, however, will continue to use caption-level numbering to ensure sufficient context. The Editor discussed with the JSC the draft framework developed by the RDA and ONIX initiative. The JSC was in broad agreement with the framework, and the Editor will feed JSC comments into the continuing work of the group. In August, the Editor will prepare drafts of RDA sections 3.2 (Media category), 3.3 (Type of carrier) and 4.2 (Type and form of content) building on both the draft framework and on the work done by the GMD/SMD Working Group. At the meeting, ACOC and CCC were charged with mapping RDA to MARC 21. This process will identify areas where RDA will impact on MARC 21, and possible new elements for RDA. The JSC intends to have a discussion paper based on this mapping ready for the MARBI meeting in January 2007. The mapping will also be included in due course in “Appendix D, Presentation of descriptive data”. The Editor will prepare a discussion paper on mode of issuance. LC will revise its paper on internationalization in light of responses received and discussion at the meeting. ACOC will revise its paper on Persistent identifiers and URLs in RDA based on the constituency responses. A small group will be formed to examine the appendices on capitalization, abbreviations, and initial articles. The JSC will continue to discuss what will be included in RDA in terms of access points for families. The Examples Group will continue to work on the examples in the former part I, and a new group will be formed to look at examples in the remainder of RDA. The Chair will finalize the policy document on the Glossary, and terms will be assessed for inclusion. While in Ottawa, the JSC met with the Committee of Principals for AACR (CoP). At this meeting the CoP approved changes to the RDA strategic plan to differentiate long-term goals from what will be achieved with the initial release of RDA in 2008. The CoP also approved making public JSC documents that are currently only available to the constituency committees. The JSC has a plan in place to ensure that this occurs by the end of June. Other issues that were discussed included the future governance structure for RDA, and the name of the JSC. The CoP members will consider these further. The JSC will meet from October 16-20, 2006 in Washington, D.C.